Your SAP systems are vital to your business. If they aren’t running at optimal performance, nothing is. That’s why you need to partner that’s a true Basis expert. 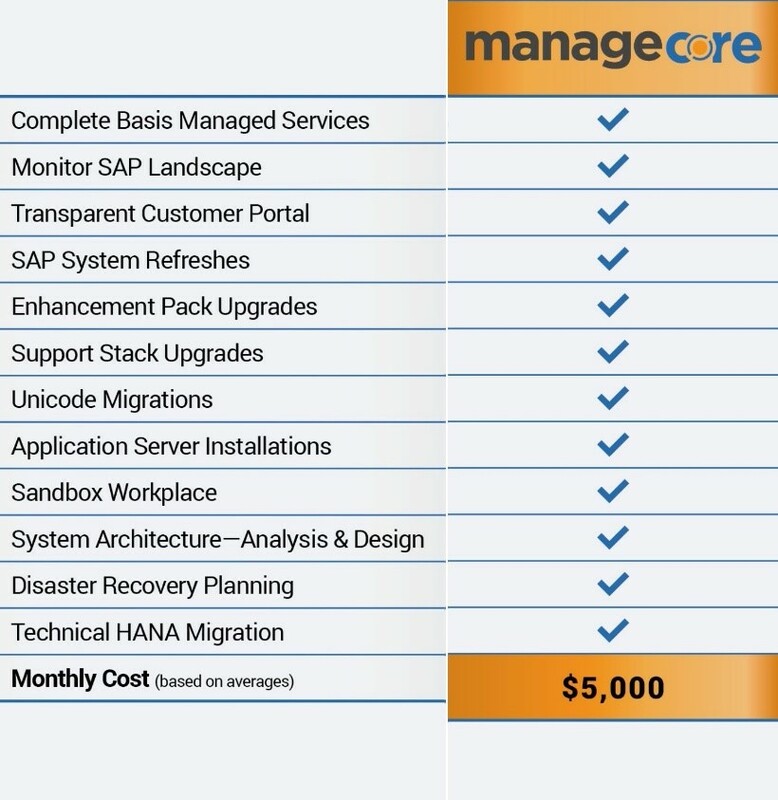 At Managecore, managing mission critical applications is the core of our business. By following SAP Best Practices and leveraging the experience of our expert team of consultants, Managecore delivers a support model unrivaled in the industry. One that accounts for all the activities needed to keep your SAP systems running and a customer focus that puts your business first. Built on transparency and collaboration, Managecore’s service offerings are designed to provide your team with visibility keeping everyone up-to-date, informed, and connected, 24 hours a day. If it is an SAP technical activity in your landscape, then it is covered by our managed service offering. We don’t nickel-and-dime our customers, we don’t make huge projects out of normal and customary maintenance tasks, and you won’t hear us say “we’ll need a change order for that”. 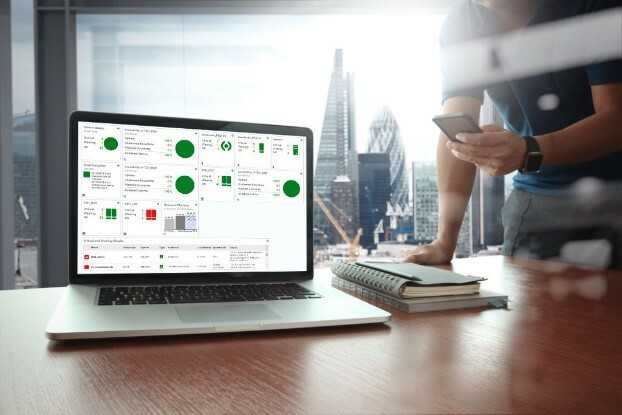 Our monitoring platform and client portal provide both us and you critical, real-time visibility into your system issues. These tools allow our team to trace and correlate issues within the entire environment more quickly which means faster time-to-resolution when an issue does arise. View system status in real-time – you see what we see! Managecore's unique team approach sets us apart from the competition. We don't use a tiered support model - you get direct access to your Managecore team 24 hours a day. Your always available consultant is engaged and caring for your environment, so issues become nonexistent. The result, nobody will know your systems better than your dedicated Managecore team. And that leads to extremely quick time-to-resolution on all incidents. Learn more about our SAP Basis Services.